Box set has a few sale price stickers attached. This smart and suspenseful thriller scares up a bone-chilling good time with original scream queen Jamie Lee Curtis (TRUE LIES, HALLOWEEN I&II) and a hot cast of hip young stars! 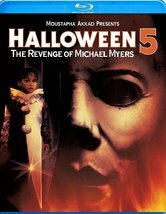 Now the headmistress of a private school, Laurie Strode (Curtis) is still struggling with the horrifying, 20-year-old memories of the maniacal killer Michael Myers ... when he suddenly reappears with a vengeance! And this Halloween, his terror will strike a whole new generation! Laurie's rebellious son (Josh Hartnett -- THE FACULTY), his girlfriend (Michelle Williams -- TV's DAWSON'S CREEK), and the school security guard (LL COOL J -- WOO, B.A.P.S.) will become Michael's newest victims unless Laurie can conquer her greatest fears and put evil in its place once and for all! The time has come again for you to experience the frightening fun of HALLOWEEN -- the motion picture series that totally redefined terror! Original HALLOWEEN star Jamie Lee Curtis (HALLOWEEN: H2O, TRUE LIES) is back and joined by Busta Rhymes (SHAFT) and Tyra Banks (COYOTE UGLY) in the terrifying HALLOWEEN: RESURRECTION -- the latest in this electrifying horror film series! 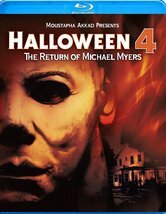 The reality programmers at DangerTainment (Rhymes, Banks) have selected Rudy (Sean Patrick Thomas -- SAVE THE LAST DANCE), Bill (Thomas Ian Nicholas -- AMERICAN PIE 1&2), and a group of thrill-seeking teenagers to spend one fun-filled night in the childhood home of serial killer Michael Myers. 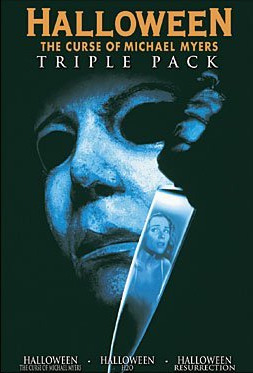 But the planned live broadcast turns deadly when their evening of excitement becomes a night of horror as Michael himself decides to crash the party!